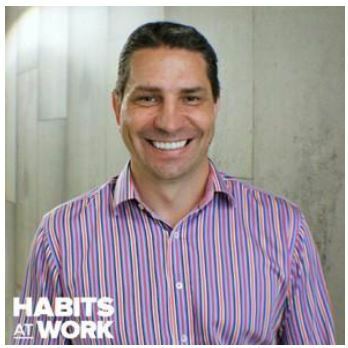 Entrepreneur and founder of Habits at Work (formerly Health at Work Wellness Actuaries), Andrew Sykes has 20+ years of leadership, organizational performance, and business development experience. Prior to starting Habits at Work, Andrew was chief wellness officer at the Vitality Group. He has consulted to some of the world’s largest companies, including Shell Oil, McDonald’s, and Blue Cross Blue Shield. Andrew frequently speaks about organizational performance and he is passionate about helping companies to flourish through the success of their people, rather than at their expense.